Occupying the Museum’s three main galleries, the exhibition examines artists’ embrace of and fascination with technology, as well as their prescient awareness of the ways in which technology can transform subjective experiences. 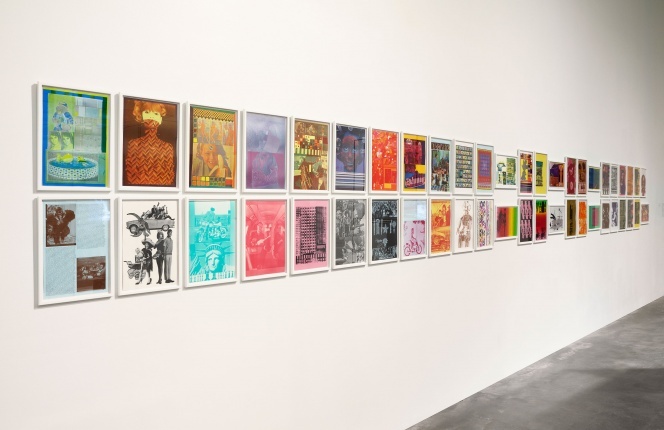 International in scope, the exhibition spans more than fifty years and incorporates works by contemporary artists. The works assembled trace the complex historical passage from the mechanical to the optical to the virtual, looking at the ways in which humans have projected anthropomorphic behaviors onto machines that have become progressively more human. 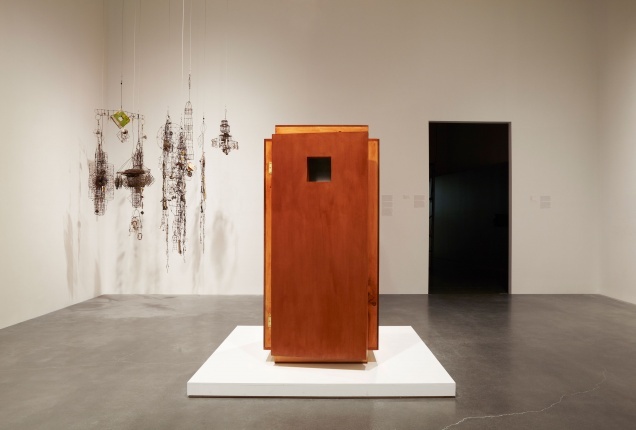 In place of a traditional, chronological approach, “Ghosts in the Machine” is conceived as an encyclopedic cabinet of wonders: bringing together an array of artworks and non-art objects to create an unsystematic archive of man’s attempt to reconcile the organic and the mechanical. 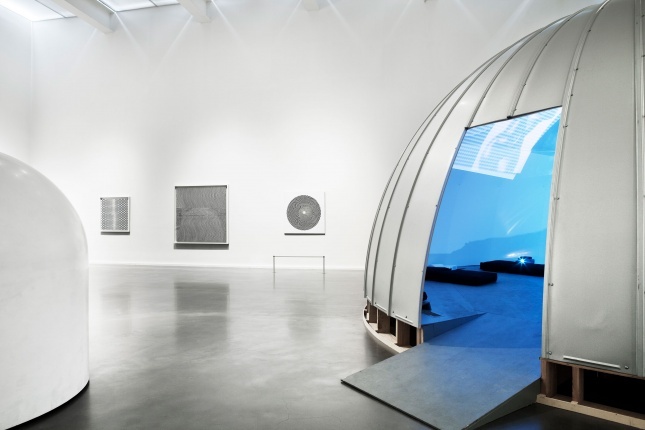 The installation at the New Museum includes artists, writers, and visionaries whose works have explored the fears and aspirations generated by the technology of their time. 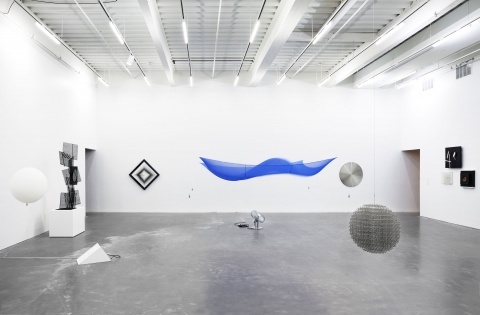 From Jacob Mohr’s influencing machines to Emery Blagdon’s healing constructions, the exhibition brings together improvised technologies charged with magical powers. 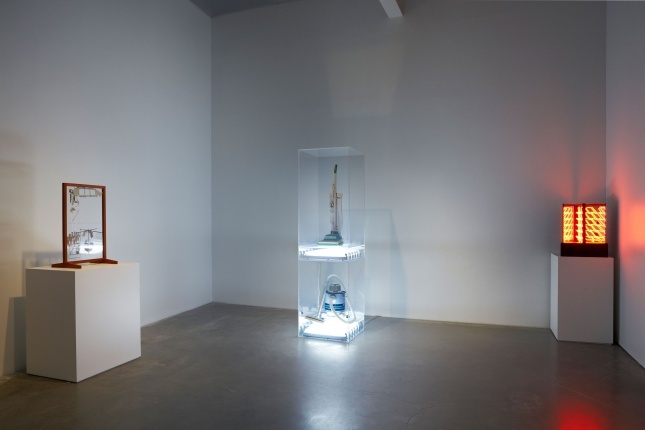 Historical works by Hans Haacke, Robert Breer, Otto Piene, and Gianni Colombo, amongst others, are displayed alongside reconstructions of lost works and realizations of dystopian mechanical devices invented by figures like Franz Kafka. “Ghosts in the Machine” also takes its cue from a number of exhibitions designed by artists that incorporated modern technology to reimagine the role of art in contemporary societies, including Richard Hamilton’s “Man, Machine and Motion” (1955). 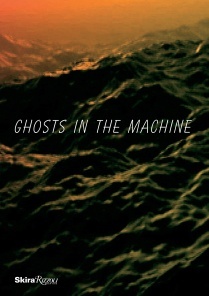 Exploring the integration of art and science, “Ghosts in the Machine” also tries to identify an art historical lineage of works preoccupied with the way we imagine and experience the future, delineating an archeology of visionary dreams that have never become a reality. Many of the artists in the show take a scientific approach to investigating the realm of the invisible, dismantling the mechanics of vision in order to conceive new possibilities for seeing. Central to the exhibition is a re-examination of Op art and perceptual abstraction, with a particular focus on the work of painters Bridget Riley, Victor Vasarely, Richard Anuskiewicz, and Julian Stanczak, amongst others. Op art was unique in the way it internalized technology and captured both the ecstatic and threatening qualities it posed to the human body. 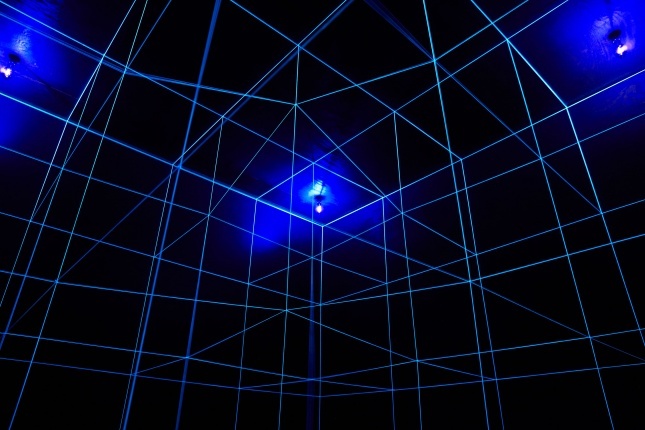 Furthermore, the exhibition will include a number of kinetic and “programmed” artworks as well as expanded cinema pieces, which amplify the radical effects of technology on vision. 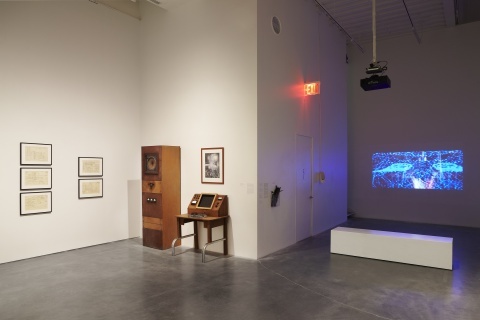 A section of the exhibition will present a selection of experimental films and videos realized with early computer technology. One highlight of the installation will be a reconstruction of Stan VanDerBeek’s Movie-Drome (1963–66), an immersive cinematic environment where the viewer is bathed in a constant stream of moving images, anticipating the fusion of information and the body, typical of the digital era. As technology has accelerated and proliferated dramatically over the past twenty years, artists have continued to monitor its impact. A number of contemporary artists, including Mark Leckey, Henrik Olesen, and Christopher Williams, will be represented in the exhibition. These recent works, while reflecting technological changes, also display a fascination with earlier machines and the types of knowledge and experiences that are lost as we move from one era to the next, constantly dreaming up new futures that will never arrive. 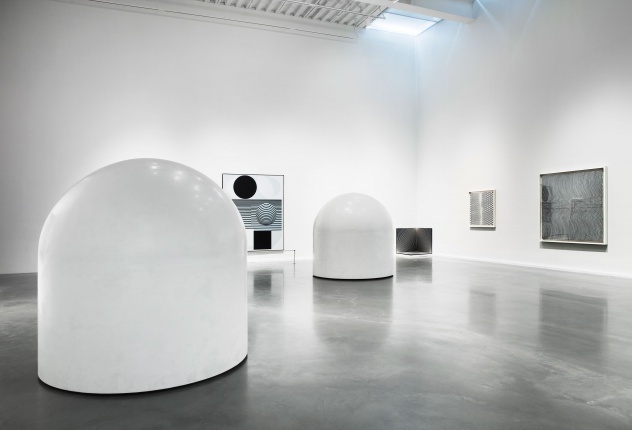 “Ghosts in the Machine” is curated by Massimiliano Gioni, Associate Director and Director of Exhibitions, and Gary Carrion-Murayari, Kraus Family Curator.